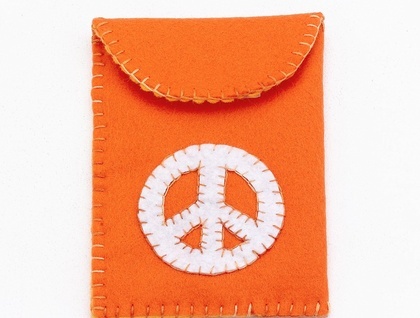 Fantastic little double felt ipod case, made to my own design. 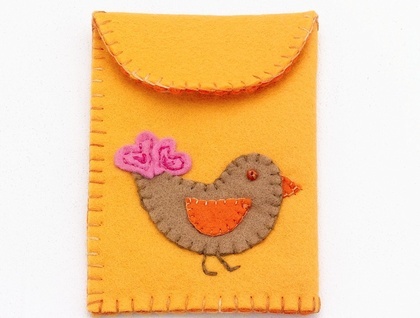 Made from two colours of felt fabric sandwiched together and then cut and hand stitched stitched into a snuggly protective ipod case, Also fits most little digital cameras. 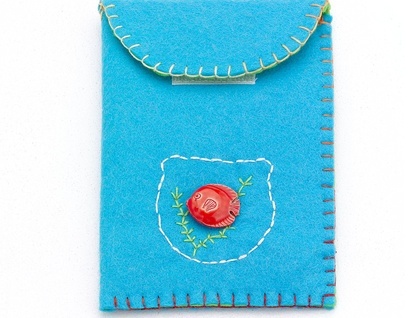 Each case features hand appliqué or embroidery or both! 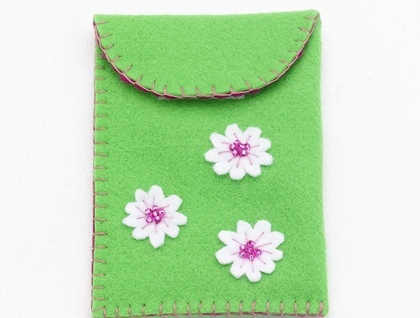 Each case is handstitched with blanket stitch for that quirky handmade fabulousness. Fastens with Velcro for easy use. I have many different colours available please message me if you would like a special colour/design combo, check out my other listings for more designs.